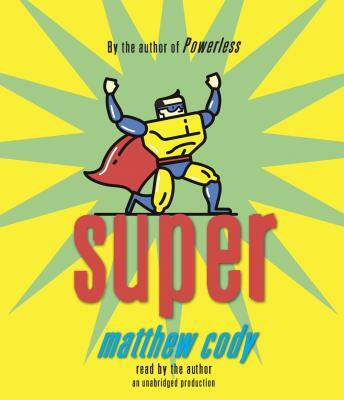 A superpowered sequel to Matthew Cody’s popular debut novel, Powerless! Daniel Corrigan is as regular as can be, especially when compared to the Supers: kids in his new hometown with actual powers like flight and super-strength. But Daniel’s not powerless. Only he was able to stop the Shroud, a supervillain bent on stealing his newfound friends’ powers. And thanks to him, his friends got to keep those powers. Now Daniel himself is starting to display powers, while at the same time his friends are losing theirs. His friend Eric thinks Daniel is just becoming a Super himself, a late-blooming one. But Daniel worries there may be something more sinister at work, since his power-stealing ability is uncomfortably like the Shroud’s. Of course, the Shroud is gone now . . . isn't he? Or could Daniel himself be his new vessel?